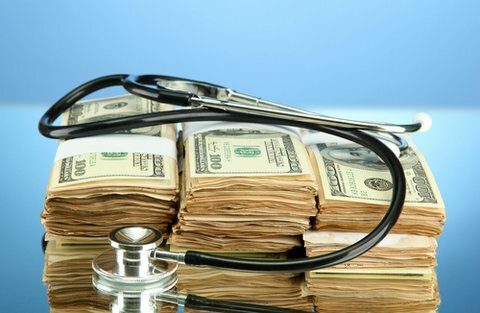 While just about all healthcare stocks seem to be getting a boost from the Affordable Care Act (ACA), otherwise known as Obamacare, one subgroup – the health insurers – figures to get an outsized benefit from the healthcare law. And their stocks are already reflecting this advantage. In the past six months, the iShares Dow Jones U.S. Health Care ETF (NYSEARCA: IHF), which owns all of the Big Five insurers – Aetna Inc. (NYSE: AET), Humana Inc. (NYSE: HUM), WellPoint Inc. (NYSE: WLP), Cigna Corp. (NYSE: CI), and UnitedHealth Group Inc. (NYSE: UNH) – is up more than 11% year to date. All five are trading just under their all-time highs. So far this year, the sector is up over 10%, while the Standard & Poor's 500 index is up just 7.5%. Last year, as investors were anticipating the official launch of Obamacare in October, the healthcare sector rose 39%, second only to consumer discretionaries. And according to Thomson Reuters, the profit estimates for healthcare stocks this year have increased to 12.2% from 8.3% as of Jan 1, while the forecasts for most other sectors have declined. All this is before the ACA is even fully implemented. In fact, if you take a step back, you can see that the health insurance stocks have been steadily rising since the ACA was signed into law in March of 2010. The iShares Health Care ETF, for example, is up nearly 97% in that span, well above the 70% gain for the S&P 500. So, yes, the health insurance industry is definitely in the pink right now. But how can investors be sure Obamacare will keep healthcare stocks flourishing?